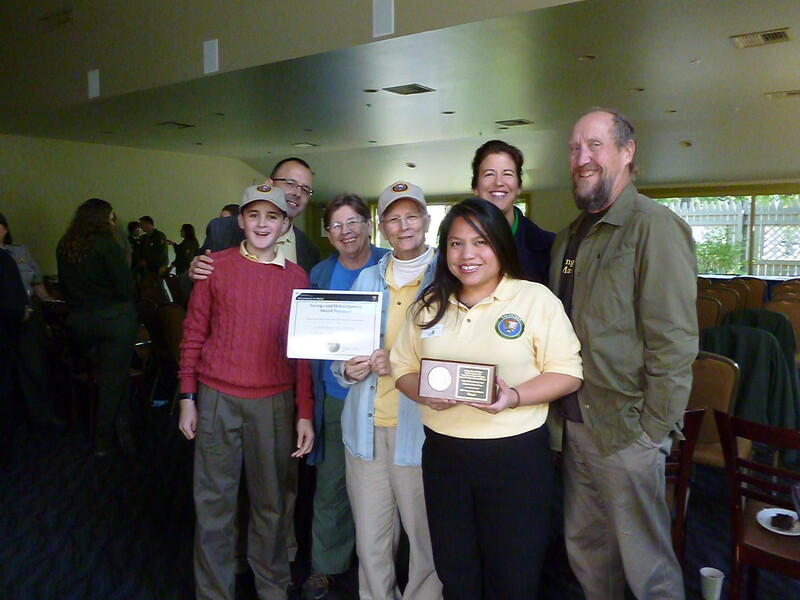 Last month ARMN was honored by the Eastern Capital Region of the National Park Service (NPS) and received the George and Helen Hartzog Award for an Outstanding Volunteer Group. Members of ARMN, the Banshee Reeks & Fairfax Master Naturalist Chapters, and other dedicated individuals have contributed over 2,600 hours of service to the George Washington Memorial Parkway since the partnership began in 2009. The Assistant Biologists Program trains volunteers to collect, sort, label, mount, and identify insects to establish baseline species inventories. 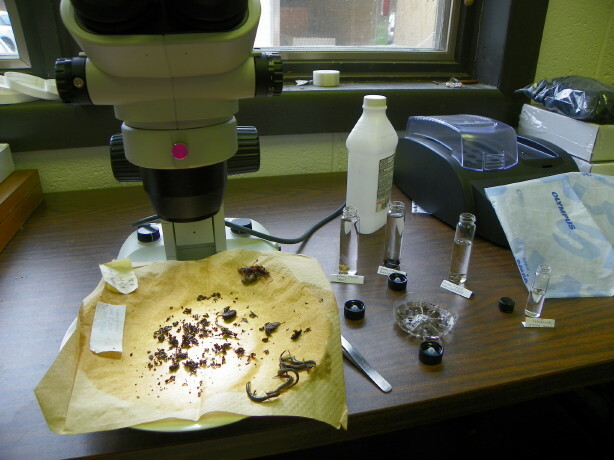 Volunteers have prepared over 12,000 insect parasitic wasp specimens in the NPS-built “Bug Lab”. 90% of this specialized group of insects is undescribed and the prepared specimens are now being identified and described by entomologists at the Smithsonian Museum of Natural History. This work will result in documenting hundreds of species new to science. Also, over 1,000 species of beetles have been documented through the Assistant Biologists’ efforts. Weed Warrior volunteers are currently cutting invasive plants on 12 sites, collecting 230 pounds of native seeds, and planting over 500 one-gallon plants to reestablish native plants on 13 acres of park land. ARMN partner Earth Sangha has also been very involved in these efforts. River Stewards kayak the Potomac River along the park, giving visitors safety messages, picking up trash, and reporting the locations of illegal fish and turtle nets. This work has resulted in three poaching prosecutions, saving hundreds of animals. Assistant Horticulturalists work in the plant nursery growing hundreds of Dutch Elm disease resistant trees, which are then transplanted to return this graceful tree to the National Mall. NPS Biologist Erik Oberg serves as a course instructor for ARMN’s Basic Training Class and trains volunteers in the park. The NPS has also offered day-long training seminars, tours, and programs of Advanced Training opportunities, including curatorial training and a behind-the-scenes tour at the Smithsonian Museum of Natural History. The NPS/ARMN relationship is a perfect example of how productive and strong partnerships between government organizations and non-profit groups like ours can produce meaningful results. Congratulations to all of the volunteers who support the George Washington Memorial Parkway National Park – you are making a real difference!